It's time to take a jaunt! Cars built for adventure are at the heart of Aussie culture, but Australia’s transport emissions per capita are 45% higher than the global average. There is intense global demand for tourism products that are more adventurous, more personalised, and more attuned to local culture; that inspire a path of self-discovery. So, what can be done? This is the Aussie dream! 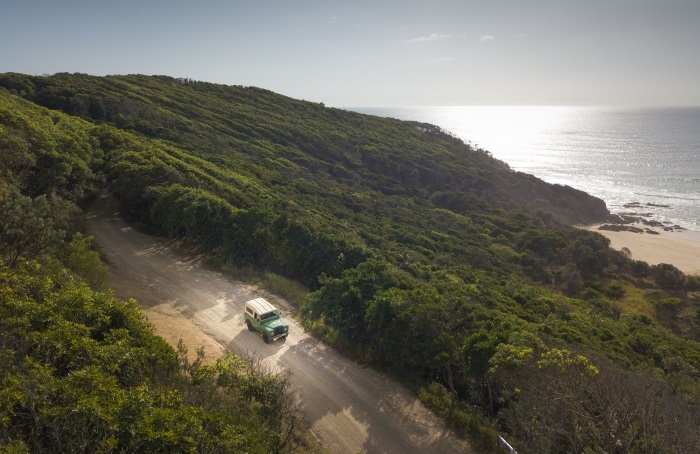 Jaunt is on a mission to up-cycle iconic, rattly old four-wheel-drives and turn them into a community built, state of the art, electric vehicle car rental network to help adventurers explore Australia. Salvaging the thousands of four-wheel-drives on farms and in back sheds, Jaunt installs an electric motor and places these sleek and silent dream cars in some of Australia’s most pristine locations. Jaunt launched its crowdfunding campaign recently, offering Australians the chance to play an active part in creating Jaunt’s first fleet of the coolest electric vehicles on the planet – that look and feel like what you’d expect from a great Aussie adventure 4WD, without harming the environment. Dave Budge, Jaunt creator and CEO, dreams of a 100% clean energy future and believes Jaunt will make a positive impact on Australian tourism and motoring industries. With experiential travel on the rise, travellers are seeking to immerse themselves and explore regional Australia. 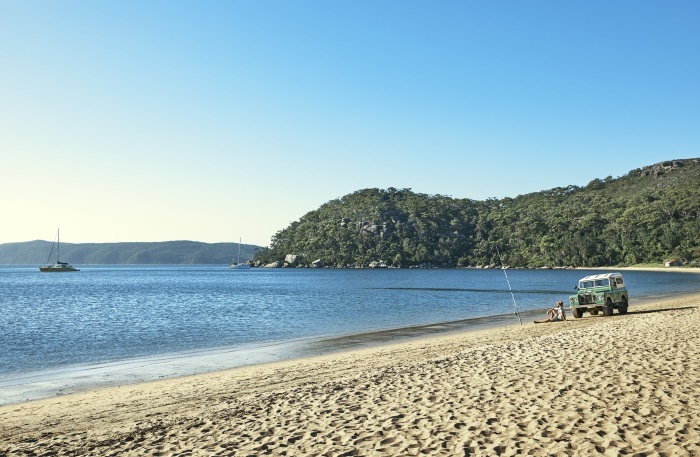 Car rental is one of the only ways to truly access the endless beaches, secret campsites, red dirt and rolling vineyards that Australia boasts. A Jaunt experience will bring sustainability, accessibility and locality to the Australian car rental network, but in a more desirable way. Jaunt launched their crowdfunding campaign site on Indiegogo on Sunday the 3rd of March and is open for contributions until Sunday the 31st of March. 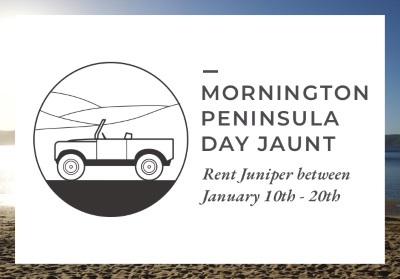 Jaunt has confirmed they will be transforming Juniper into their first electric vehicle and visiting some amazing locations in Victoria and New South Wales this Spring and Summer. 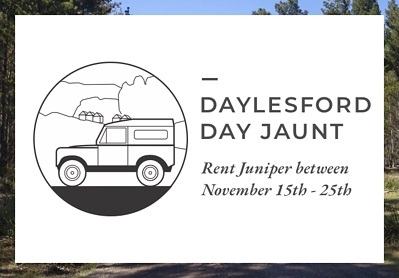 Jaunt has opened bookings for Byron Bay & The Blue Mountains (NSW) and Daylesford & Mornington Peninsula (VIC). Jaunt has had 80 days worth of rentals booked through the crowdfunding campaign, which is huge for a rental company that’s only been in the market for two and a half weeks. While that’s not the crowdfunding target of $50k of bookings, Jaunt has had huge interest from across the country and it’s helped push some other things over the line. $25 – Support us and have your name painted on Juniper’s chassis. $1000 – Road Trip! 7 day Jaunt to explore Australia! For the revheads and the tech nerds, Jaunt isn’t re-inventing the wheel entirely. It’ll use a combination of the most state-of-the-art electric vehicle components including Tesla Model S battery packs and a NetGain Hyper9 AC Electric Motor that puts out 100 kw of power and 235 Nm of torque from almost 0rpm – making Jaunt and incredibly smooth, yet powerful drive! Jaunt is all about combining Australian adventure and exploration with sustainable motoring and a community driven economy. With the launch of their crowdfunding campaign, they hope that Australians across the nation are inspired to take a quick Jaunt in the very near future!